Flip a coin. If heads,dead finger will shoot its self and will petrifiye the oponent instently. 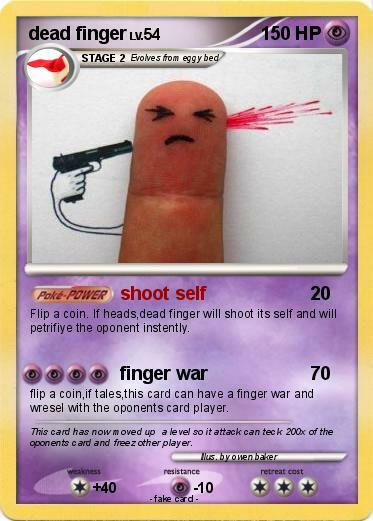 flip a coin,if tales,this card can have a finger war and wresel with the oponents card player. Comments : This card has now moved up a level so it attack can teck 200x of the oponents card and freez other player.